Last year, an Irish-born colleague introduced me to my favorite version of soda bread. 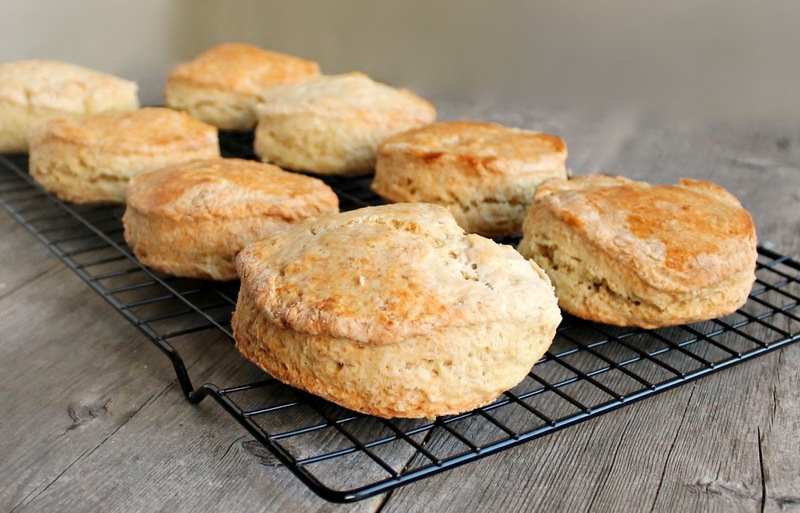 Simple and sweet, almost like scones but baked into a loaf. It was delicious! I said I wouldn't wait until next St. Patrick's Day to make it again but, somehow the time got away from me. Oh, well. I baked up a loaf last weekend and the delicate aroma made me fall in love with it all over again. Brian and I finished off the loaf pretty quickly but last night I was in the mood for it again. I had some leftover homemade broccoli and cheese soup and I thought the soda bread would be a great compliment. But this time I decided to see what would happen if I made the recipe into biscuits instead of a whole loaf. I suspected they would bake more quickly than the loaf so I monitored the time carefully to make sure they didn't burn. And I was rewarded with that same wonderful taste but with a delicate, biscuit consistency. Perfect with the soup but also great with tea and jam for breakfast. I may need to make another batch pretty soon. :) Enjoy! In a large bowl, combine the flour, sugar, baking soda, baking powder and salt. Add in the softened butter (I used a pastry cutter to make sure it was fully incorporated). In a separate bowl, add the egg and cup of buttermilk and whisk to combine. Pour into the flour mixture and stir to combine. Turn the dough out onto a lightly floured surface and knead slightly. The dough is not sticky and will come together fairly easily. Pat out the dough until it's about 1/2" thick and use a biscuit cutter to cut out rounds. Place them on a baking sheet lined with parchment paper. Brush the 2 tablespoons of buttermilk onto the biscuits and bake them in a preheated 375 degree oven for 30 minutes or until they are lightly golden brown. 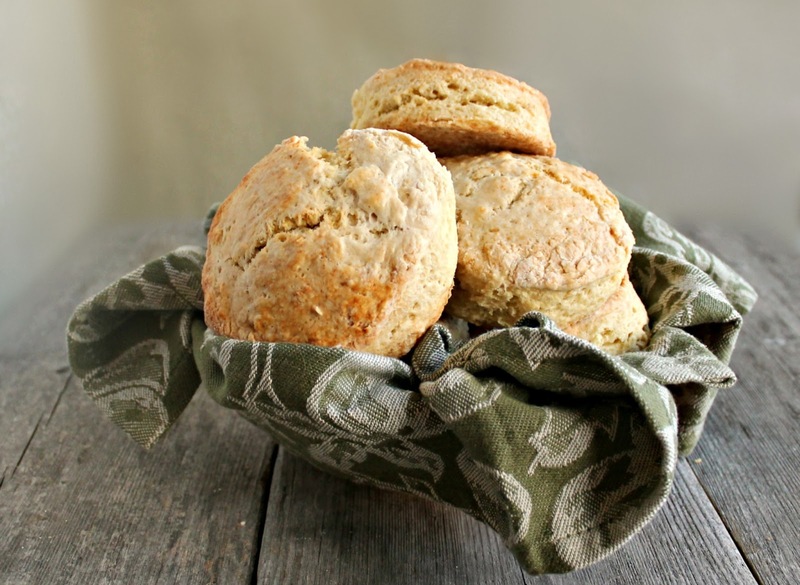 The number of servings depends on the size biscuits you make. I used a 3 1/2" cutter and got a dozen biscuits. 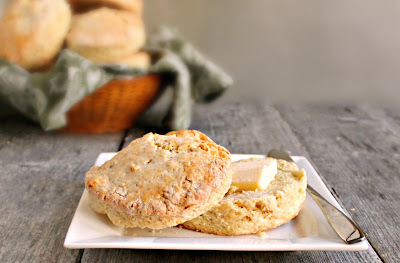 Oooh I looove the idea of Irish soda bread biscuits! They look awesome! Biscuits? I'll take a dozen! These look great! I pinned them and I hope to make them this weekend! Oh, you are so creative, Anita! What a superb idea (and good for portion control!). love love this idea! So great to make biscuits! I made these this morning and they turned out great!! Thanks for the recipe!